Our little expedition heads off. For some time now, NPAQ staff have had briefings from the project proponent and government officers about the proposal for construction of two commercial camp sites and a new track penetrating the heart of the park itself. People who know this area well have been leading voices raising concerns about the proposal, and NPAQ has been lobbying the government to prevent commercial infrastructure in Main Range National Park. Much of this work has been an academic exercise, deploying documentary evidence and maps. NPAQ knows all too well, however, that the only real way to get a sense of what a place is like is to go there. In late February, NPAQ staff and Councillors took a daytrip to Main Range National Park, Goomburra section, 85 kilometers southwest of Brisbane. The immediately striking thing about this park is its proximity to horse studs, grazing property and park adjacent ecotourism enterprises. Even on the weekday when we were there the park had recreational visitors including a caravanning couple. This park is already well serviced, and despite the water over the road at several crossings, remained easily accessible. Main Range’s proximity to Brisbane makes it well trafficked but it remains well maintained. Our first stop was the proposed Woodcutters Ecolodge site. 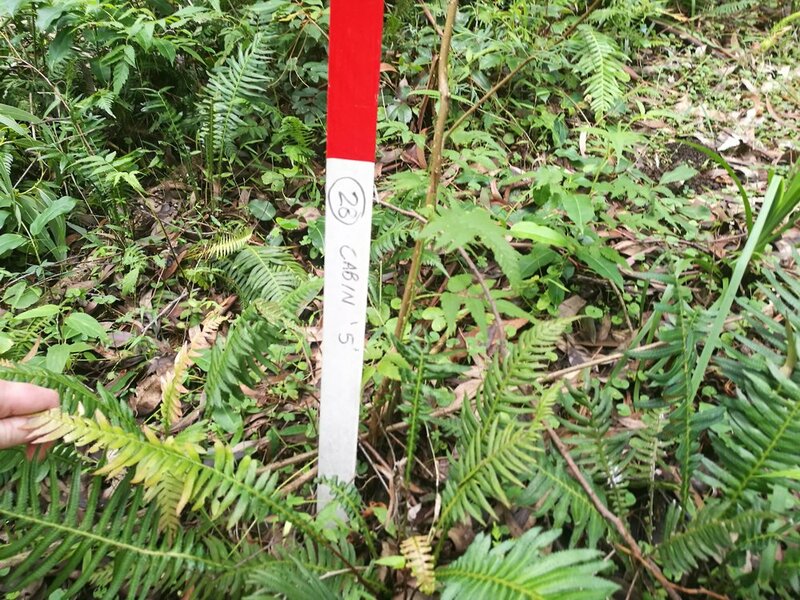 When we arrived marker pegs were easily visible spread throughout the area of the now long abandoned logging camp. Even within our small group there was debate about the merits of this site. It was not pristine rainforest – the old loggers had cleared area for their purposes. But these marker pegs mapped out proposed permanent private structures on national park land reserved for private commercial use – further undermining the conservation role of national parks. We moved on to the area where the proposed future Gainsdale scenic rim trail would intersect with the existing public track (around one third of the way along the Cascades Circuit within the World Heritage rainforest area). This location was less ambiguous as to its costs and merits. The pristine rainforest is to be intersected by a private walking track. Clearly public access could not be restricted to this proposed track, but the purpose of the track is to provide a space for privately operated guided walks. The group split at this point – half following the Ridge track, moving out of the heavily rainforest area onto drier and rockier terrain, and half completing the Cascades circuit, deeper into forest area with more than a dozen creek crossings and a spectacular waterfall. Walks always give me time to think – it is true that on balance the proposal is from a respected player in the ecotourism space, but there are more variables than that. How do you develop criteria that measures the merits of one commercial activity in a national park against another? NPAQ will continue active advocacy to the Queensland government and we will soon be releasing leading practices, a model for ecotourism in national parks. We welcome your feedback on this and any of the other ecotourism proposals on foot at the moment across our state. Are you a critical part of our future?